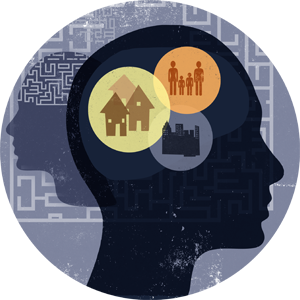 Implications of an Emerging Integration of Universal and Culturally Specific Psychologies. Title Implications of an Emerging Integration of Universal and Culturally Specific Psychologies. Psychological researchers increasingly recognize that human behavior reflects a complex interplay of universal human capacities, cultural responses to unique histories and circumstances, and individual differences. Many psychological processes appear to reflect culturally specific instantiations of universal capacities. Current integrative research focuses on further clarifying definitions of universality and on refining methods for identifying universal and cultural components of psychological processes. In this article, we consider implications of this emerging integration. To illustrate possible implications for psychology, we apply it to the study of psychopathology. We report on formal models that explain why some cultures embrace dysfunction among members. We then use the integrative framework to describe methods for determining whether putative disorders bring universal or contextual life dysfunction and to clarify etiological models of three disorders. Models of psychopathology can be more informed and precise if they include careful consideration of both universal and cultural influences on behavior.